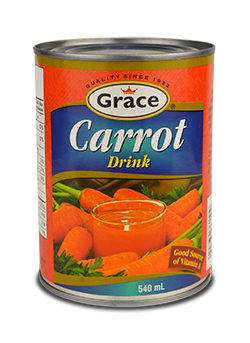 Water, Carrot Puree, Sugar, Salt, May contain citric acid. Using a recipe handed down through generations, this subtle blend of Jamaican sugar, sea moss, milk and spices is a traditional Jamaican favourite – believed to provide energy and vitality. 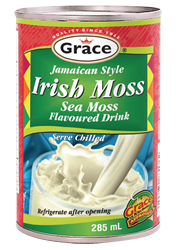 One taste of Grace’s Irish Moss will delight your taste buds and your spirit. Water, sugar, corn syrup solids, hydrogenated soybean or canola oils, whey powder, modified corn starch, sodium caseinate, salt, nutmeg, mono- and diglycerides, carrageenan, natural and artificial flavour, colour, sodium citrate, silicon dioxide or sodium aluminum silicate. 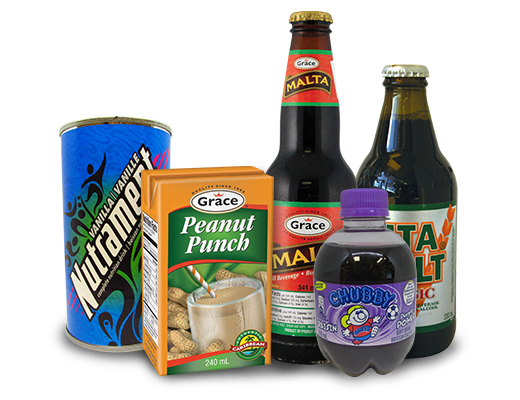 Grace Malta is a nutritious, non-alcoholic carbonated beverage brewed from barley and hops that the whole family can enjoy. Water, malt, sugar and hops. Care for a treat? 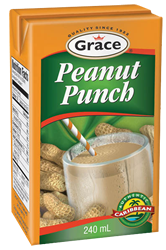 This popular beverage from the Caribbean is a tasty, milkshake-style beverage made of peanut butter, milk and caramel. Water, sugar, peanut butter, skim milk powder, stabilizers, caramel, sodium bicarbonate, vanilla flavour, salt. Water, Modified milk, sugar, vegetable oils, vitamins, minerals. A great, creamy, milkshake-tasting source of nutrition for anyone on the go who wants to deliver a peak performance. 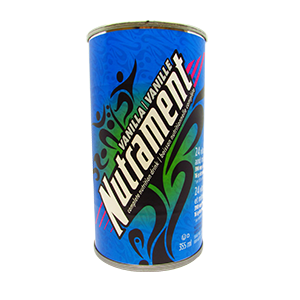 Its nutritional power comes from 360 calories of energy provided with a balance of carbohydrate, protein, and fat plus one’s third the recommended daily value of 24 vitamins and minerals. 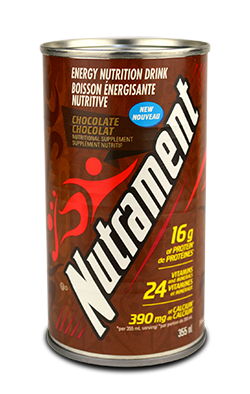 It’s convenient and portable as a satisfying meal replacement or as an extra source of energy. Water, milk ingredients, sugar, corn syrup, canola oil, calcium and sodium caseinates (from casein and sodium and calcium hydroxides), high oleic sunflower oil, soy protein isolate, corn oil, artificial flavour, carrageenan, soy lecithin, soy oil, minerals (cupric sulfate, ferrous sulfate, magnesium chloride, magnesium phosphate dibasic, manganese sulfate, potassium citrate, and zinc sulfate), vitamins (biotin, calcium d-pantothenate, di-alpha-tocopheryl acetate, folic acid, niacinamide, pyridoxine hydrochloride, riboflavin, sodium ascorbate, thiamine hydrochloride, vitamin A palmitate, vitamin B12 and vitamin D3).